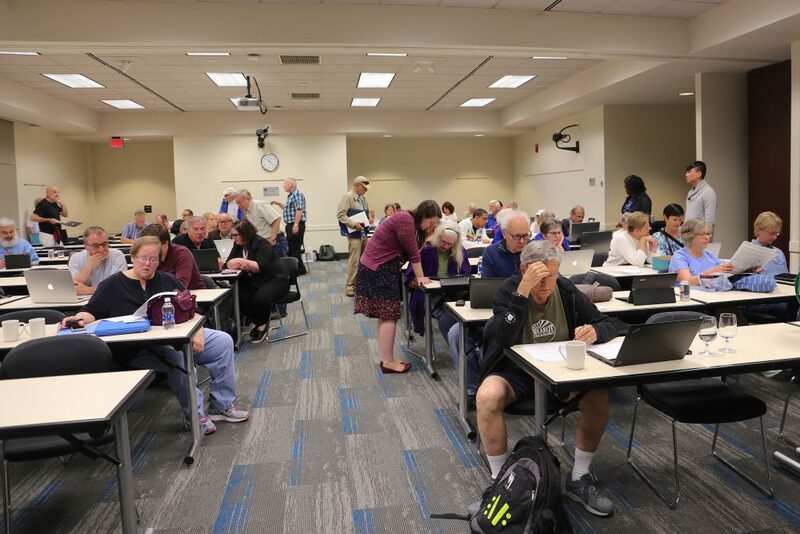 ITS attracted about 150 UNC-Chapel Hill retirees to a Office 365 migration clinic organized specifically to provide that University population with individualized assistance with setting up their multiple devices for Office 365. 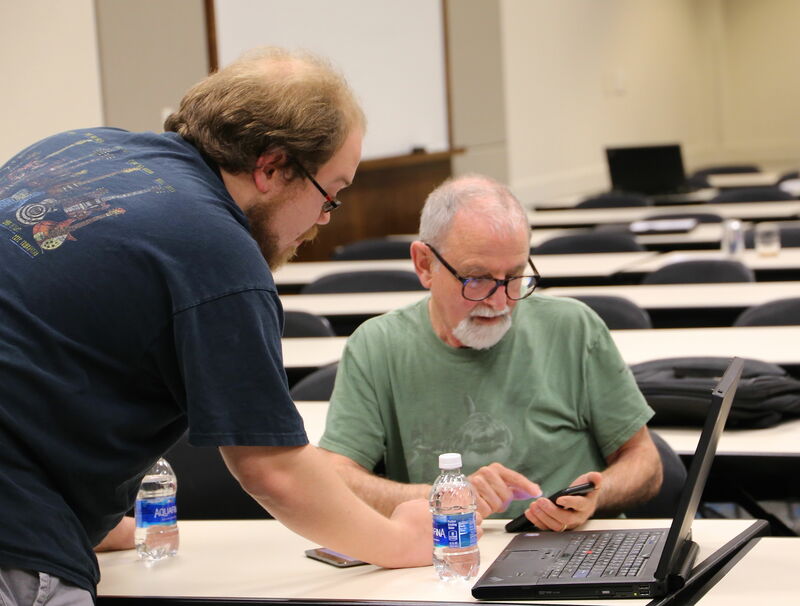 On May 24, at least 20 people arrived at the Friday Center before the advertised start time of 9 a.m. ITS staff members immediately began helping attendees with their laptops, tablets and mobile phones. Then at 9 a.m., retirees flooded the room. Soon it became apparent that the retiree clinic was going to be much more popular than anyone anticipated. Alison Campbell, event coordinator and a member of the ITS Office 365 Project Team, called for reinforcements. By noon– the Friday Center generously extended use of the room by an hour– members of the ITS Office 365 Field Team, the ITS Service Desk and the Office 365 Project Team had taken care of everyone. 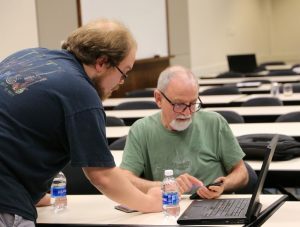 “Overall, it was an extremely successful event,” said Brenda Carpen, ITS Project Manager for the University’s migration to Office 365. Retirees commented that they appreciated having their own event. When they did have to wait for an ITS staff member to finish with another user, most attendees were goodnatured. Many used the time to catch up with old friends and former workmates and to partake of the expansive spread of food and drinks. “Having my own tech to do this really helped me,” one retiree emailed after the event. Please view additional photos from the event on Flickr.